Escape to the pool! A memory of road tripping during the summer captured by this moment at the Sands Motel. Sometimes an image can take you into another place and time. This is such a piece. 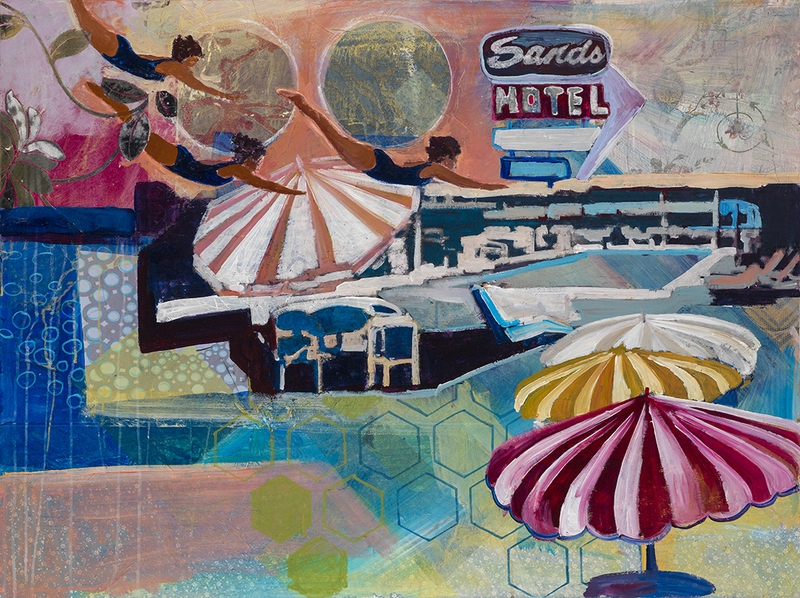 The pool, set at the Sands Motel, gives us a place of nostalgia. A place that we may have visited as a child with our family vacations. The diving girl animates the space and creates an abstraction of joy and release. It gives the painting a dynamic action that enhances the theme of Escape!